Thanks to the lower pressure, up to 55% less overspray is generated compared to conventional airless technology. 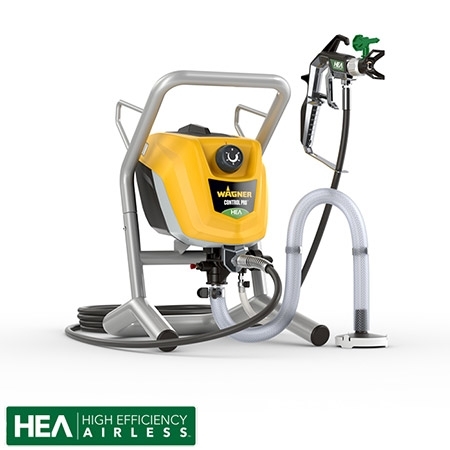 This makes airless spraying systems with HEA technology particularly attractive for indoor use, as the amount of masking required is significantly reduced, saving a lot of time. Reduced overspray also means material savings as less paint is wasted due to atomisation. Uncontrolled spraying and application errors are a thing of the past. The reduced pressure of the Control Pro Airless devices results in less recoil and a lower speed of the material particles — so you maintain maximum control while spraying. The ergonomic handle and light trigger of the high-quality HEA Airless gun guarantees effortless and comfortable working. The new design of the High Efficiency Airless nozzle allows a softer spray jet, so you always get streak-free results with perfect coverage when working with emulsion or varnish. Compared to conventional airless devices, High Efficiency Airless reduces the spraying pressure by around 50% with the same material flow rate. This has a further positive effect: the pump and its components are less stressed, resulting in reduced wear and therefore a longer service life for Control Pro devices. Among the typical projects for the ambitious DIY or maintainence user include the complete finishing of the interior or house redecoration, where a wide range of different objects such as wall and ceiling surfaces, doors, door frames, beams, steel beams, window shutters or carports are needing coating. The equipment also offers a broad spectrum of use for projects undertaken by caretakers and service providers who take care of hotels, residential premises or schools. Those embarked on self build projects will find these models to be of great use saving precious time and giving a higher standard of finish over other methods. 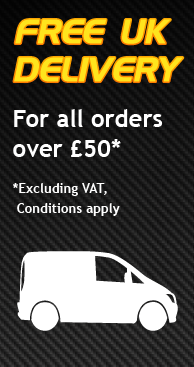 A complete range of accessories and spare items are held in stock for immediate delivery, all at prices well below what other airless systems ask. We stock spray tips in ten sizes giving the ability to use your Project Pro in a wide range of applications using a variety of coatings in a cost effective manner.